The orangutan is the most highly endangered species of great ape. Orangutans are threatened by deforestation, poaching, the illegal pet trade, and the isolation and fragmen- tation of dwindling wild populations. Their conservation is impeded by certain aspects of their ecology (e. g. , a rain forest habitat) and certain features of their life history (e. g. , an eight-to twelve-year interbirth interval). Added to the U. S. Endangered Species List in 1970, the orangutan is now clearly on the road to extinction. The number of wild orangutans in Borneo and Sumatra is currently estimated to have decreased to between 12,300 and 20,571 individuals. Only 2% of original orangutan habitat is protected and some of these areas are now being destroyed. Clearly, attention to ecology, demography, censusing, rehabilitation, and conservation is essential if the orangutan is to survive in the wild beyond the next century. The protection of orangutans is a complex, multifaceted problem, involving such pressing issues as human poverty, overpopulation, and the economic development of Southeast Asia. Although the orangutan has been placed in Appendix I of the Convention on International Trade in Endangered Species of Wild Fauna and Flora (CITES), more orangutans were sold illegally in Taiwan between 1990 and 1993 than are housed in all the world's zoos. In the past, scientific and public attention has centered on the African apes. 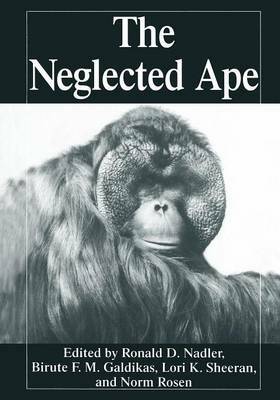 For this reason, the sole Asian great ape, the orangutan, has been called the "neglected ape.